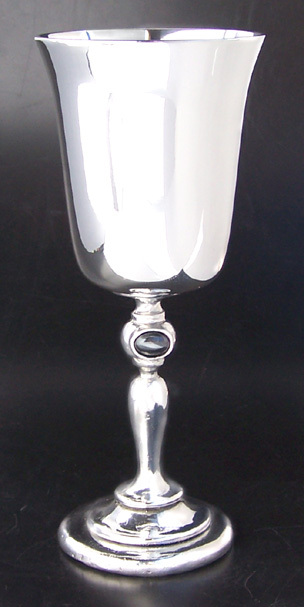 The elegant simplicity of this Pewter Goblet makes it a classic. Two back-to-back oval cabochons of semi-precious stone (each 9/16"" wide) are nestled into the stem of this chalice. Like all our designs, we make it by hand from lead-free pewter so it is safe for all cool liquids. It holds 10 ounces when filled to the rim.